We wished to have access to the commercial markets in order to increase the self-sustainability of the Divya Rasa Trust. 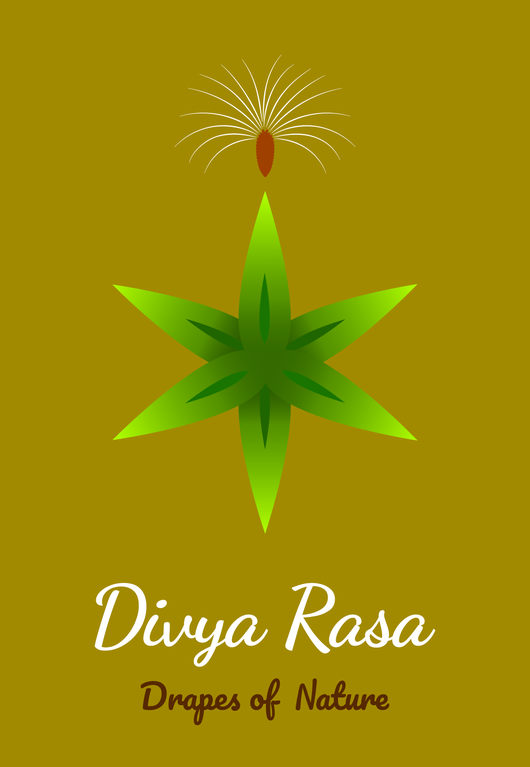 Thus, we have started a small enterprise called Divya Rasa - Drapes of Nature. This enterprise is registered with Thasleem Farzana (the Author and Managing trustee of Divya Rasa Trust) as the sole proprietrix of the venture. Whatever the profit this venture brings, will be donated in full towards Divya Rasa Trust. The use of the name Divya Rasa, as well as Thasleem being the proprietrix of the enterprise have been approved by the whole Board of Trustees of Divya Rasa Trust. 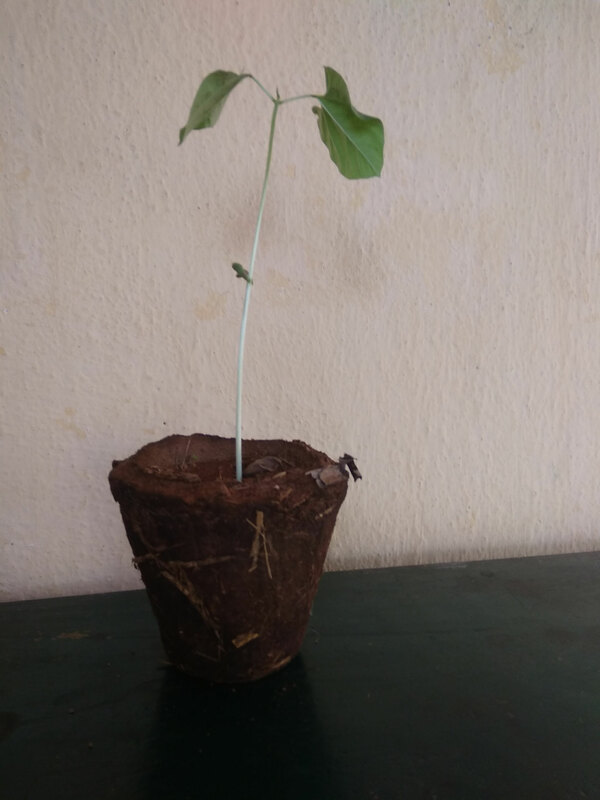 Our first incentive in Drapes of Nature is to produce planter pots from cow dung and plant saplings of some well known herbs like Tulsi (Ocimum tenuiflorum), Sage (Salvia officinalis), Mint (Menta), Fenugreek (Trigonella foenim-graecum) etc. in them. 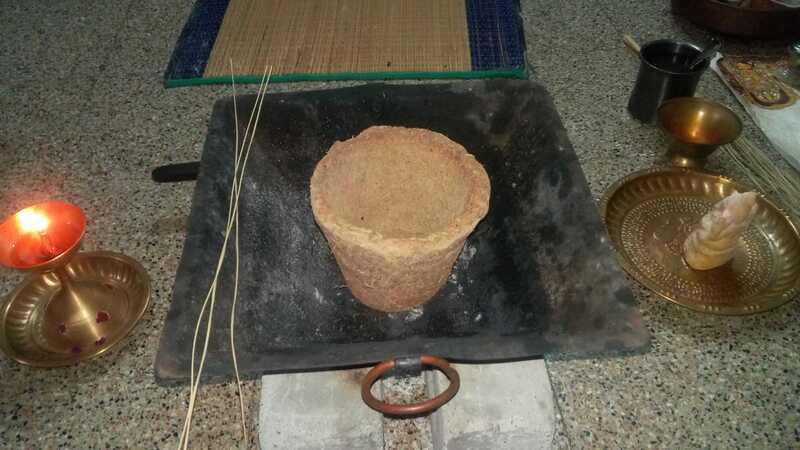 Another use of these pots is in homams, or fire rituals. 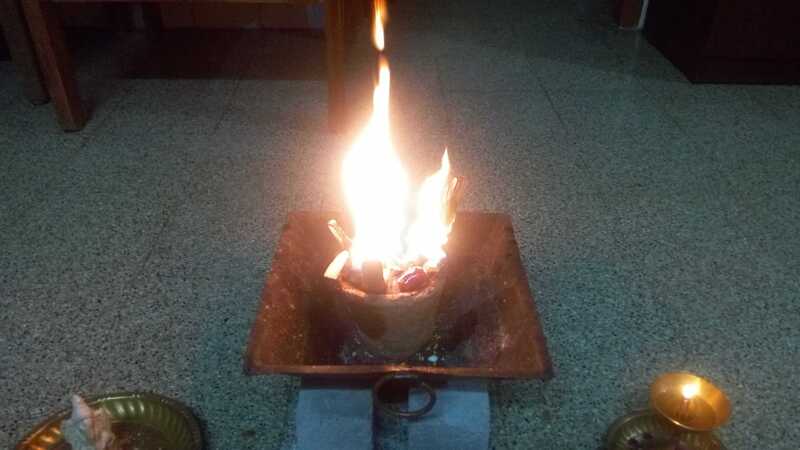 We found out that as the normal Vaarthi burns around 15 min, our pots keep up the fire for up to one hour. 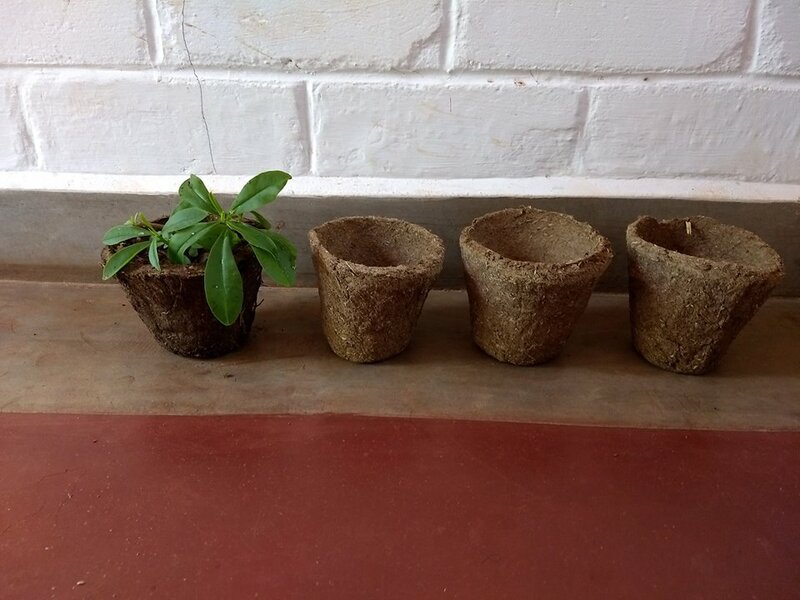 These planter / Vaarthi pots are being sold empty and with saplings for sustaining Divya Rasa Trust. 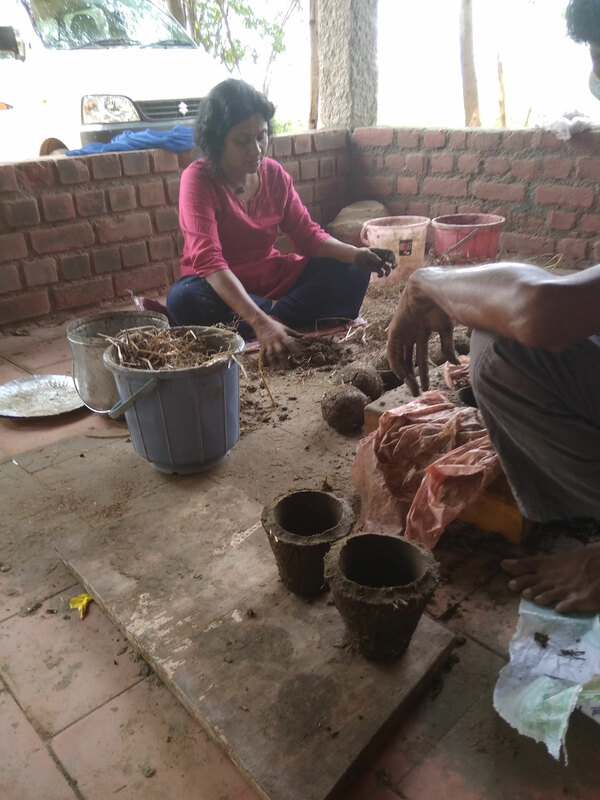 To us in Divya Rasa - Temple of Love, the importance of cow dung to autistic individuals was revealed by the children themselves. We observed some of them consciously and repeatedly searching for cow dung to play with while we were on our daily walks in the nature. This behavior triggered our interest to do a little research and experimentation on cow dung and its properties. 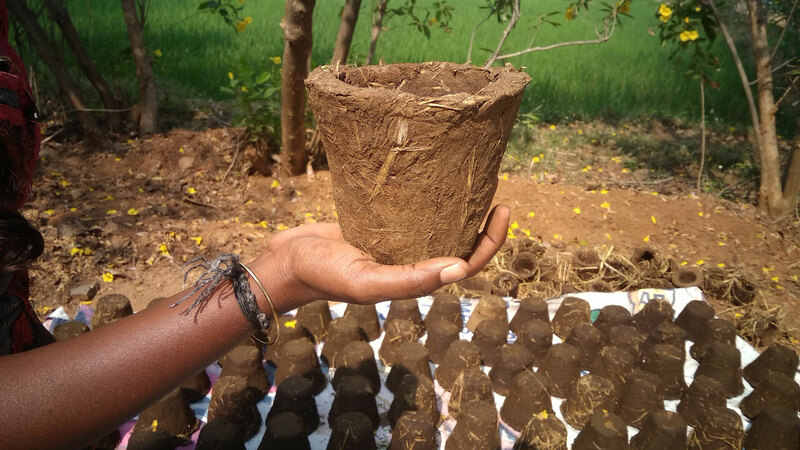 Cow dung has been scientifically shown to have large quantities of certain non-pathogenic Mycobacterium vaccae (also found in some quantities practically everywhere in the soil), which when breathed will stimulate the production of serotonin in the body and brain. Low serotonin levels have been linked to mood-swings, psychological problems and even schizophrenia. Scientific studies have revealed that in laboratory conditions, exposure to Mycobacterium vaccae would increase the subject serotonin levels. Individuals on Autism Spectrum often suffer from the lowered levels of Serotonin in their system, which may be contributing to the extensive mood swings and emotional melt-downs they experience in their life. 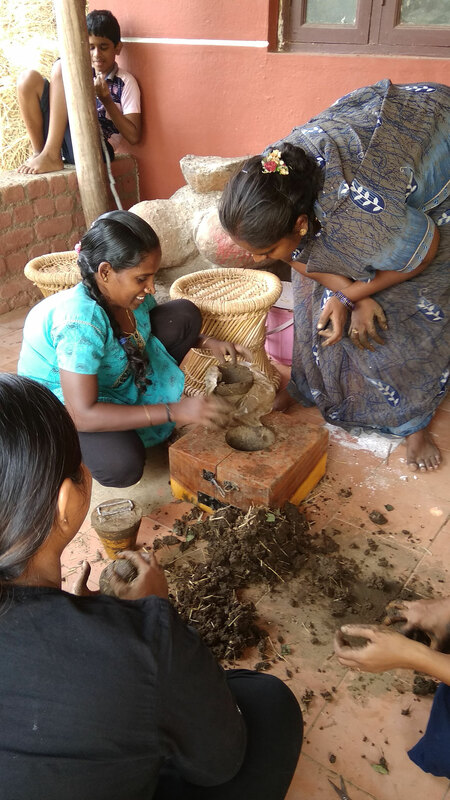 The cow dung pots are manufactured as handcrafts and autistic individuals in the centre are from time to time taking part in the process by mixing cow dung with rice straw or husk as a form of therapy to expose them to Mycobacterium vaccae and stimulate serotonin secretion in their brain. 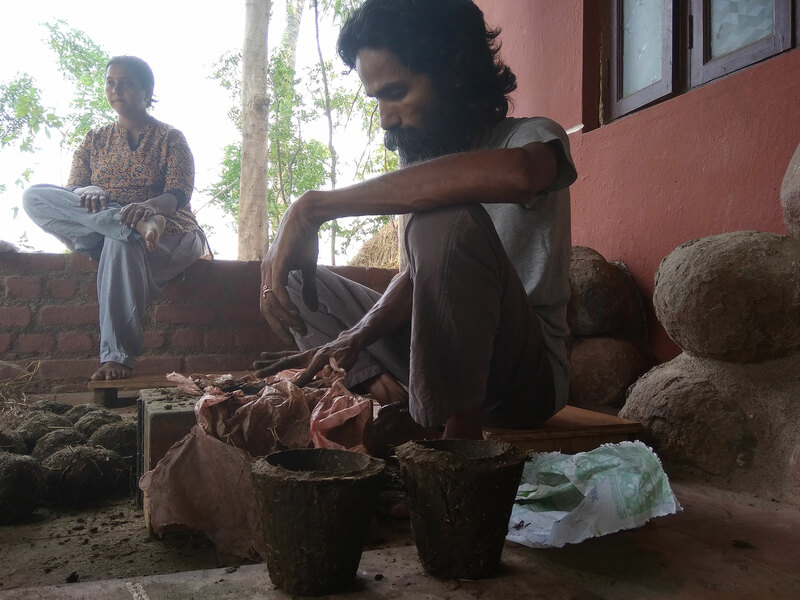 This is the next step in evolution of the process, which was initiated by children, then taken further by us when we together with children collected cow dung and made vaarthis out of it to offer in our own weekly homams. Hence, the pot you are beholding is a derivative and a fruit of an activity in which we were lead by the children themselves, and which potentially offers a great aid for them (and why not for us) too. We have planned wellness-weekend programs for relaxation, refreshment and rejuvenation for individuals and groups, which come with a stint of spiritual / humane perspective here in Tiruvannamalai. The programs have a variety of elements. When a person comes to Tiruvannamalai, it is said to be always a destiny's call. 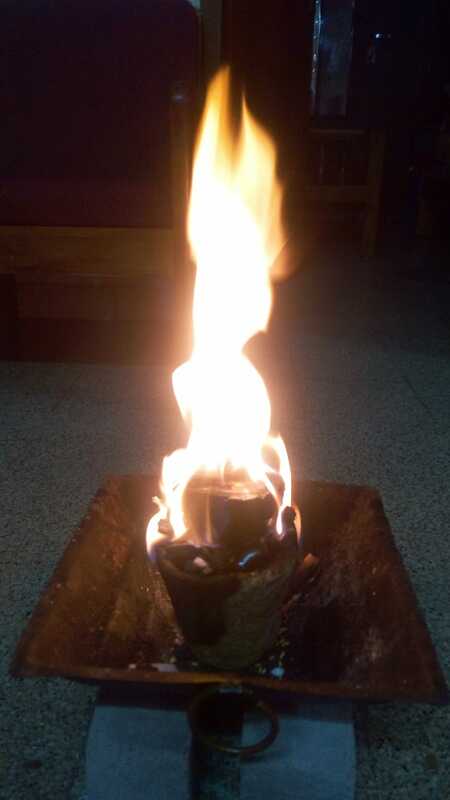 Mount Arunachala is said to be Shiva himself in the form of Agni. 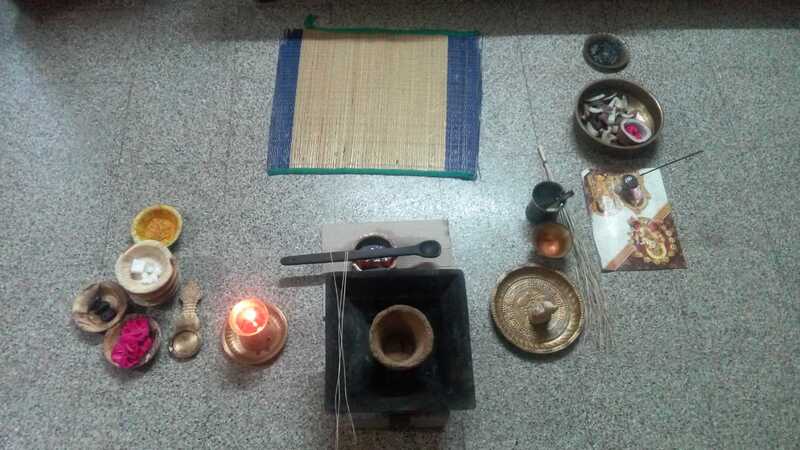 Hence, we would never wish to deprive the visitors from the opportunity of visiting the Annamalaiyar temple, enjoying the pilgrimage around the mount Arunachala or visiting Ramanashramam, Skandashramam and Virupaksha Cave in remembrance and worship of the past and present sages of which certain Ramana Maharishi has become known world wide. We offer guided practices for relaxation and self-care, guided meditations and simple techniques to learn and carry home to vitalize and take care of the body and mind in the midst of the hectic turns of the life. We have also planned sessions for discussions on topics we have found relevant in the lives of each human being regardless the age, education, position or walk of life. Sometimes all we need is to sit down and listen to someone else speaking of the experiences we are going through and it will trigger a new vision or wisdom in us. An opportunity to interact and discuss the core questions of life will give a chance to bring light in the life we lead. These sessions are facilitated by motivational speakers sharing their stories, struggles, losses and victories. Accommodation and nutrition can be organized either as a farm-based home-stay on the outskirts of the town including home-baked food or in resorts and their buffets, according to the needs and wishes of the customer. Basically, the programs are planned to last from Friday dinner to Sunday lunch, but anything can be negotiated and planned according to individual needs. If you got interested and want to know more, please don't hesitate to contact through the contact form below.